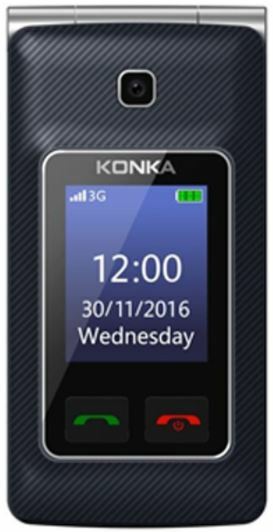 The KONKA U3 is a 3G enabled dual screen flip phone with classic design and premium feel in hand. There is a 2.4 inch main and a 1.77 inch secondary display provided on the outer-side of the device so you do not have to open the flip to check for new messages and calls. The device operates on MTK6276A ARM9 (611MHz-40nm) Core processor along with 64MB of RAM. The U3 comes with 128MB ROM which can be extended further up to 32GB via external card slot. 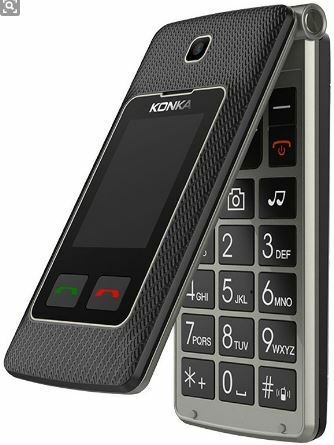 The handset is equipped with 0.3 megapixel camera with LED flash for clear photographs in low light environments. The phone is powered by Nucleus operating system and brings a number of useful features including GPRS, WAP, FM Radio, Bluetooth and a 900mAh battery.